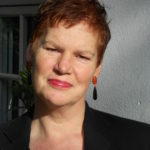 Karen Leeder is Professor of Modern German Literature and Fellow and Tutor in German at New College, Oxford. She has published widely on modern German literature, especially poetry (with books on Rilke and Brecht) and leads the project ‘Mediating Modern Poetry’ (mmp.mml.ox.ac.uk). She translates contemporary poetry and prose into English. She won the Schlegel-Tieck award in 2005 for her translation of Evelyn Schlag’s Selected Poems and the Stephen Spender prize in 2013 for her translations of Durs Grünbein. In 2016 she won both an English PEN award and a PEN America PEN Heim award for her translation of Ulrike Almut Sandig’s Thick of it which is due to appear with Seagull Books in March 2018. All under one Roof, her new translations of Evelyn Schlag for Carcanet, is the Poetry Book Society translation selection for summer 2018.